Investor Juan: Had We Been Had by "Rich Dad, Poor Dad"? I guess, in a sense, one could say that my interest in business and finance began when I read Robert Kiyosaki's best-selling personal finance book, Rich Dad, Poor Dad, almost a decade ago. Back then, a lot of the things Mr. Kiyosaki said made a lot of sense to me: I completely bought in to the idea that the only way make it "big" and get out of "the rat race" is to earn passive income from investments and/or from running your own business. Come to think of it, I guess I still do believe in these things, perhaps even more so now than ten years ago. However, I do recall a few things about the book that struck me as odd. For example, I had this uneasy feeling that Kiyosaki made things seem simpler and easier than they are, in truth. And I didn't really like it when he made counter-intuitive points just for the sake of making a counter-intuitive point, or when he tried to seem "wise" by superficially challenging conventional wisdom. Like how he refers to a car as a liability and not an asset: while he does make valid points about how a car costs money to maintain and loses value over time--thus a "liability" in common usage--he misleads and confuses readers by not making a distinction between this definition and the accounting definition of the term. Ultimately, criticisms against Mr. Kiyosaki and his philosophy center on the limitations and shortfalls of his advice. As this old Wall Street Journal article discusses, much of what Kiyosaki passes off as "financial advice" may be found wanting in terms of theory and common sense, and some even contradict his personal experiences in business and investing. 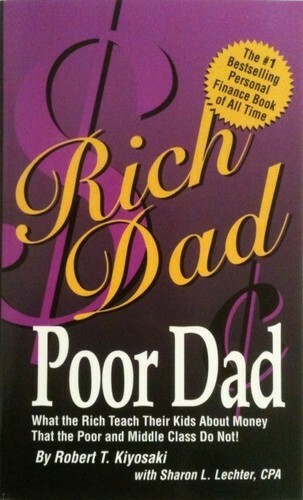 Nevertheless, those who have read one or some of his books would agree that the basic premise of the Rich Dad, Poor Dad philosophy does make sense and would be an effective source of motivation for a lot of people. Perhaps not even Mr. Kiyosaki will deny that he makes a substantial amount of money from Rich Dad, Poor Dad and everything that is associated with it. There's nothing wrong with that--it's his intellectual property and a lot of people are willing to pay a small amount to find out what he has to say. However, when entities that are associated with him and who are legally entitled to using the Rich Dad, Poor Dad name start extorting thousands of US (Canadian) dollars from ordinary citizens who just want to learn how to improve their lives, we should begin to question the credibility of Mr. Kiyosaki's operation and the sincerity of his intentions. Watch this investigative video from CBC News and you be the judge.